On Tuesday, Good Morning America co-anchor George Stephanopoulos welcomed former New Jersey Governor Chris Christie onto the show as ABC’s newest political contributor. 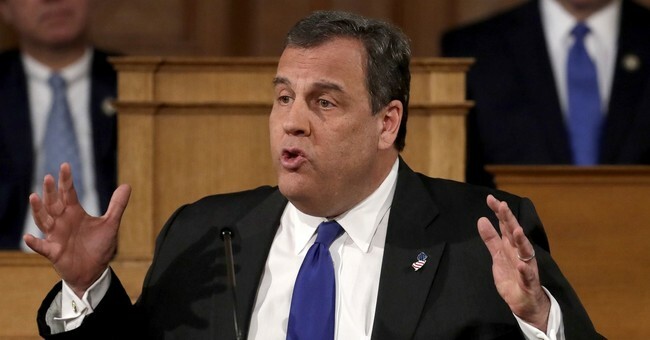 When Stephanopoulos asked Christie for his opinion on whether Trump should sit down with Special Counsel Robert Mueller in a face-to-face interview, Christie stated unequivocally that the President should not do so. Stephanopoulos: What does the President have to fear from Robert Mueller? Christie: Robert Mueller is not someone to be trifled with, and he’s not someone who takes lightly the words of anybody who he’s looking at. And so, I -- what I’ve said all along is that in an investigation like this, there’s lots of things -- there’s nothing you can do to make it shorter, there’s lots of things you can do to make it longer. S: Should the President sit down with him face-to-face? C: I don’t believe so. I -- listen, I don’t think there’s been any allegations, credible allegations, against the President of the United States, and I don’t think the President of the United States, unless there are credible allegations, which I don’t believe there are, should be sitting across from a special counsel. The presidency is different. I don’t think they should do that. And I think the administration has been cooperative in other ways and lots of people have gone to meet with him. I think the President is a different story. S: You don’t think the President has questions to answer about a possible obstruction of justice? C: No, I don’t think he does at this point George. And, and -- but the fact is that that’s a very high standard to meet. We’ve all gone through this before. And I don’t think we’ve met that high standard yet as to, as to President Trump. But we’ve gotta continue to watch it, because the one thing I can tell you for sure, and one of the things I loved about being a prosecutor was only I knew what I knew. Only Bob Mueller really knows what he knows, and we won’t know it for a while. So everybody who speculates about this stuff, George, they’re throwing darts at the wall with a blindfold on. Bob Mueller knows what’s going on. This past December, former National Security Advisor Michael Flynn pled guilty to making false statements to the FBI about his conversations with Russian ambassador Sergey Kislyak, so Christie’s comments about there being “lots of things you can do to make [the investigation] longer” are especially important here. If the FBI has records that contradict anything Trump says in an interview with Mueller, the President could theoretically be subject to the same charges as Flynn. This would be true even if Mueller ended up not finding evidence of other criminal wrongdoing.